When last we visited the election-year drama of Councilor Diana Broomell (R-4), she had toned down her act, under the watchful eye of a county Sheriff’s deputy summoned to a County Council worksession to keep the peace after she previously told another lawmaker to “shut up.” But, in a closed-door meeting on Tuesday, and at a public worksession with her personal videographer’s camera rolling, Broomell again hit the verbal panic button. During a closed-to-the-public executive session– permitted under the state’s open meetings law because it was called to discuss a “negotiating strategy” or a “bid or proposal”—Broomell got agitated and once again told fellow Councilor Joyce Bowlsbey (R-2) to “shut up,” sources told Cecil Times. Bowlsbey took offense at the insult and walked out of the meeting room, and then the meeting was immediately adjourned. It was the second time recently that Broomell has exercised her vast repertoire of verbal insults with those same words, directed against Bowlsbey. In late February, during a discussion of approval of the minutes of a previous worksession, Broomell told Bowlsbey to “shut up” because Bowlsbey raised a “point of order” on a procedural step. Bowlsbey was attacked by Broomell before she even had a chance to explain her motion. Although the latest Broomell meltdown was done behind closed doors, earlier in the day she was playing to a videocamera operated by her longtime ally, Walter Rozansky, at the open worksession when she told Council President Robert Hodge (R-5) “You are full of it.” And after the session, she stood in front of the seated Hodge to stage an in-his-face verbal confrontation, standing a bit to the side so the camera could capture the drama. And when it was over, she walked over to Rozansky to help him disassemble his camera tripod. Broomell had demanded that an upcoming meeting of the Maryland Association of Counties, which will be held in Elkton to discuss drug abuse problems, should include “experts” of her choosing and not just county government officials. Bowlsbey noted that since it was an official MACO meeting, which was just being held at the county building, the Council did not have the right to dictate the speakers on the agenda. “You’re just shirking your responsibility,” Broomell called out, with an eye toward the camera. Then she turned her ire on Hodge, saying, “Mr. Hodge, you are laughing—people are dying every day.” Hodge was silent and not laughing. Hodge then told Broomell that if she had her own “plan” to successfully solve the drug abuse problem, she should put it in writing with details and supporting documentation so the full Council could review and discuss it. To that, Broomell loudly proclaimed, as the camera rolled, “There’s a lot of politics involved” and “forces contributing to the obstructionism” against solving the drug problem. Broomell, who is a candidate for re-election in the June Republican primary and faces two rivals in that party’s primary, has focused much of the past year on attacking fellow Council members who are not running against her in the election. Part and parcel of her campaign strategy appears to be portraying herself as David against an amorphous Goliath. Her slingshot ammo is verbal attacks and unsubstantiated accusations, and her campaign blog often cites links to audio recordings of county meetings at which she has made her attack comments, to highlight her own accusations. So just in time for the entertainment awards season, we may soon be seeing some video theatrical performances as well. Cecil County government has provided $12,000 and an equal amount was contributed by the American Kennel Club and related groups to buy a specially-equipped trailer to help rescue and evacuate pets in times of natural disasters or emergencies. The county’s Department of Emergency Services took possession of the trailer on Tuesday at a ceremony at the county administration building in Elkton. The trailer was acquired through the national AKC organization’s “Reunite” program to aid pets during disasters, with assistance from other dog groups including the Northeastern Maryland Kennel Club, the English Setter Association of America, the Schipperke Club of America, and the Nova Scotia Duck Tolling Retriever Club, according to a statement from the AKC. The AKC sponsors dog shows, conducts educational and informational programs about purebred dogs and advocates for animal welfare nationally. County Administrator Al Wein told Cecil Times that the county was re-allocating $12,000 it had received from a Homeland Security grant to cover its share of the trailer’s costs. Federal disaster programs require local emergency response programs to include plans for evacuating and caring for domestic pets in case of emergencies. The 16-feet by 7-feet tow-along trailer is equipped with crates to hold up to 50 animals and carry supplies such as food, water and microchip scanners to assist in re-uniting lost pets with their families. The trailer bears the AKC Reunite program’s logo and also lists the county’s Department of Emergency Services as its owner/operator. The county currently has a more than $2.24 million animal control contract with a Delaware-based rescue group, A Buddy for Life, that rents kennel space from the private Rainwood Kennels in Elkton. Many of the animals kept by the Buddy group—including dogs it officially ‘owns’ after the end of a county-paid eight day holding period—are housed in portable wire crates in an upstairs room with no plumbing for water supplies, according to testimony before the county’s Animal Care and Control Oversight Commission. In case of a disaster, the current conditions at the Buddy shelter raise questions about whether the animal control contractor would be able to house the pets rescued with the new trailer. The county’s past animal control contractor, the Cecil County Society for the Prevention of Cruelty to Animals, owns its own shelter on 11 acres of land in Chesapeake City and is equipped with a barn to hold rescued farm animals. During past hurricanes, the CCSPCA stationed its own cage-equipped vans on both sides of the C &D Canal to offer rescue services and kept staff overnight at the shelter to be ready to receive any evacuees. It was a little too early in the morning to hoist a glass of wine when Doris Mason, executive director of the Upper Shore Regional Council, visited the Cecil County Council worksession on Tuesday. But a toast was in order as Mason detailed the growing numbers of vineyards and wineries cropping up on the Upper Eastern Shore and the Council’s efforts to encourage and promote these new agri-businesses. Mason described marketing efforts by the USRC to promote a new “Chesapeake Wine Trail,” to attract visitors to vineyards and wineries in the region. The USRC covers Cecil, Kent and Queen Anne’s counties on the Upper Shore. A directory of wine-related sites and a new “Shore Vines” website, along with videos, will promote the vineyards and wineries, she said. And the USRC is involved in outreach to help new wine operations with their own social media and marketing efforts. Mason said there is now a “shortage of Eastern Shore grapes” to meet the growing demand from producers seeking to create local wines but there is also a greater realization that the Upper Shore’s soils are conducive to grape-growing. And grapes are a very valuable “cash crop” for farmers, she added. We recall less than a decade ago when the granddaddy of wine in Cecil County was criticized or laughed at for having the vision to see a valuable future for grapes and wine in the region. Not one to worry about what others thought, he built his vineyard and winery from the ground up, without a dime of government money or help, into the first fully licensed winery in Cecil County—the Dove Valley vineyards and winery in Rising Sun. 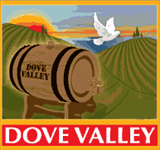 Now Dove Valley has grown into an award-winning venture that has won accolades at state and national wine competitions and provides a popular tourist-attraction that also hosts community and charity events. So we’ll raise our glass of Dove Valley’s Vignoles in tribute to Harry Hepbron, former Cecil County Commissioner and founder of Dove Valley, and his family for showing the way to the many new entrants into this burgeoning agri-business on the Upper Shore. Congratulations to Harry Hepbron and all who venture into this expanding business field! Yes, I remember Harry coming in to commissioner meetings after coming in from the field; people questioned it, but now we can see and taste the result of this hard work! Harry, thank you for setting an example for hard work. Harry and family deserve a lot of credit for their foresight and hard work. Patronize Dove Valley. You won’t be disapointed. Councilor Broomell seems intent on following the “slash and burn” game plan of her mentor, Delegate Mike Smigiel. She has ventured past the tipping point and her enemies now exceed her friends. Her latest attempt to recruit voters– those devastated by drug addiction in their families– seems to be backfiring. Her latest rant accuses the Governor’s office of obstructionism against solving the drug problem. In a recent “letter to the editor” she stated that an intervention in the county is necessary. I agree– but I suggest that her few remaining supporters join in helping her recognize that her behavior is harmful to herself and others. The sad fact of the matter is that Councilor Broomell is the the only one that seeks solutions to this out of control drug problem we have here in this county. Her “behavior” as you would call it – seems to be pure frustration. And since my property value has gone down and taxes up and crime is rampant and I don’t feel safe anymore in Elkton and in certain parts of Cecil County – I feel her frustration. We are going no where fast. I attended a wine tasting and picnic with my family on Mothers Day. Harry and family do a great job.